Michelle Davis Petelinz is currently “artist-in-residence” at Marbles, and has been hosting “Playdate with an Artist” for the last two weeks. Saturday, 3/3 will be the last session. 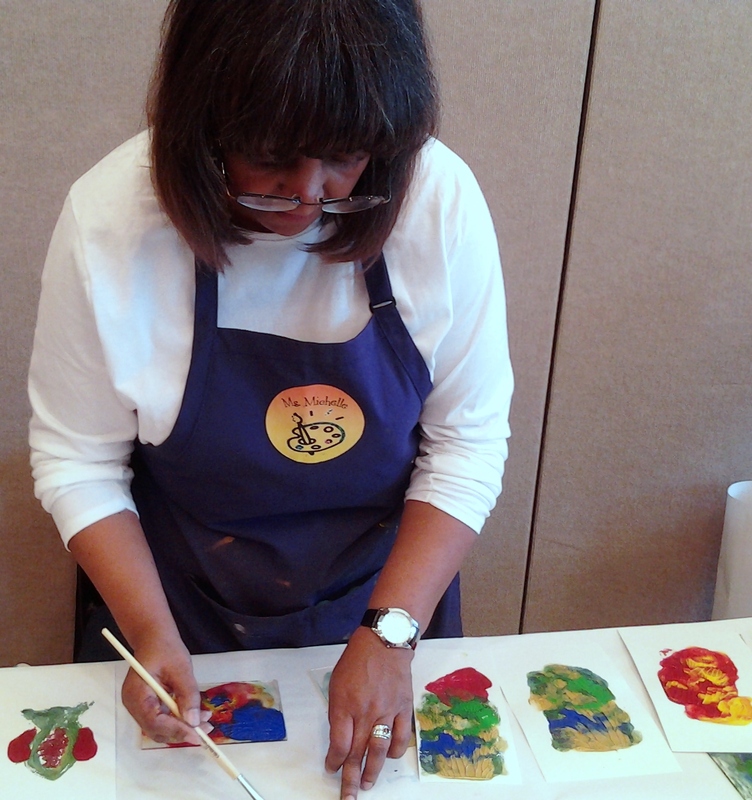 The session will be about Monoprinting. Have a look at Michelle’s blog post about her previous monoprinting session to get an idea; I would venture to say “5 and under” really means “5 and not much under”. This entry was posted in Crafts by daddyweekly. Bookmark the permalink.